Background: Tendon overuse injuries are an issue in elite footballers (soccer players) and may affect tendon function. Achilles and patellar tendinopathy are the most frequent pathologies. Tendon stiffness, the relationship between the force applied to a tendon and the displacement exerted, may help represent tendon function. Stiffness is affected by training and pathology. Nevertheless, information regarding this mechanical property is lacking for elite soccer athletes. Hypothesis: Achilles and patellar tendon stiffness assessed using myotonometric measurements will be greater in elite soccer athletes than in control participants. Methods: Forty-nine elite soccer athletes and 49 control participants were evaluated during the 2017 pre-season. A handheld device was used to measure Achilles and patellar tendon stiffness. Dominant and non-dominant limbs were assessed for both groups. Results: A significantly stiffer patellar tendon was found for both the dominant and the non-dominant limb in the elite soccer athletes compared with the control group. Nevertheless, no differences were found in Achilles tendon stiffness between groups. When comparing between playing positions in soccer athletes, no significant differences were found for both tendons. Conclusion: Greater patellar tendon stiffness may be related to an improvement in force transmission during muscle contraction. On the other hand, it seems that after years of professional training, Achilles tendon stiffness does not change, conserving the storing-releasing function of elastic energy. The non-significant differences between positions may be attributable to the years of homogeneous training that the players underwent. Clinical Relevance: The present study shows another technique for measuring mechanical properties of tendons in soccer athletes that could be used in clinical settings. 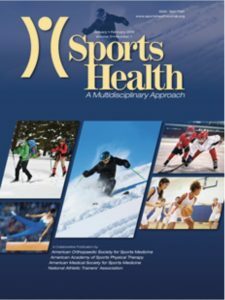 In the future, this technique may help clinicians choose the best exercise protocol to address impairments in tendon stiffness. A stiffer PT may be related to an improvement in force transmission during human movement. This adaptation could be associated with the long-term practices that soccer players undergo during years of professional training. Conversely, no difference was found in AT stiffness between groups. The AT storing-releasing of elastic energy is a main function during human movements; thus, an increase in AT stiffness is not needed to preserve this function after years of training. No differences were found in PT and AT stiffness with regard to playing position, which may be explained by the standardized and long-term training that the soccer athletes endured. More studies assessing tendon stiffness using myotonometric measurements are needed.